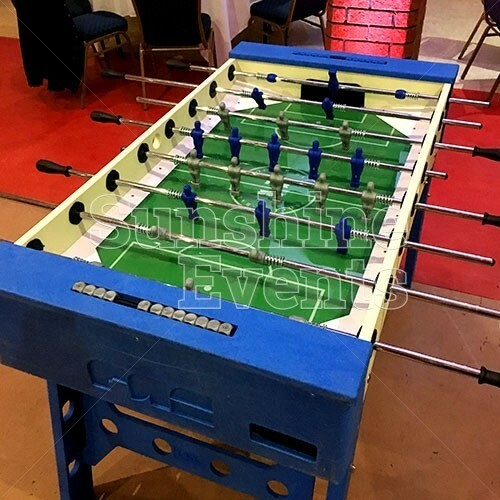 Table soccer; foosball; table football: whatever you call it, there’s no denying the fun to be had on this amazingly popular tabletop game. 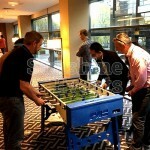 World-class football managers wish they had this much control over their players! 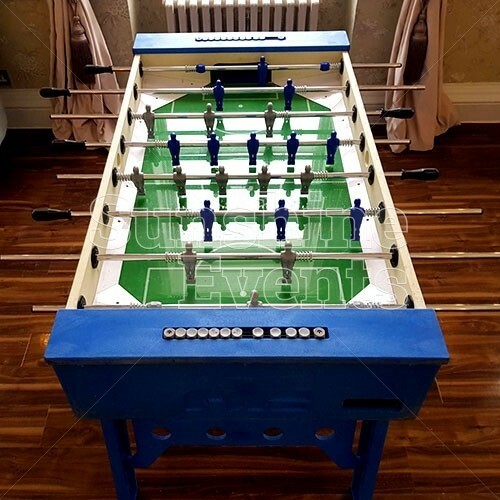 Just like the real-life game, you have 11 players on your team to control - pulling them back and forth, rocking them front and back as you dictate their movement using the handheld rods moving the ball around the table until it enters your opponent’s goal. 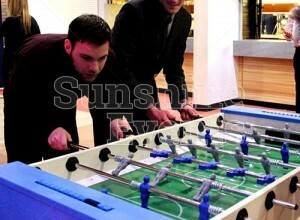 Once the ball enters the table, it’s the first to 10 goals to determine the winner. 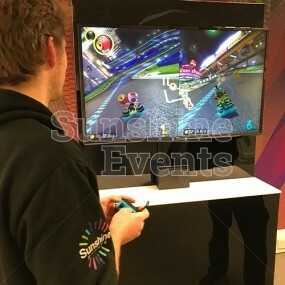 You can play one on one, moving your hand between the 4 control rods, our enlist a friend to play in teams of two so all the players can be moved simultaneously. 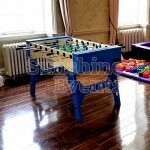 It’s up to you if you want to introduce the “no spinning” rule. 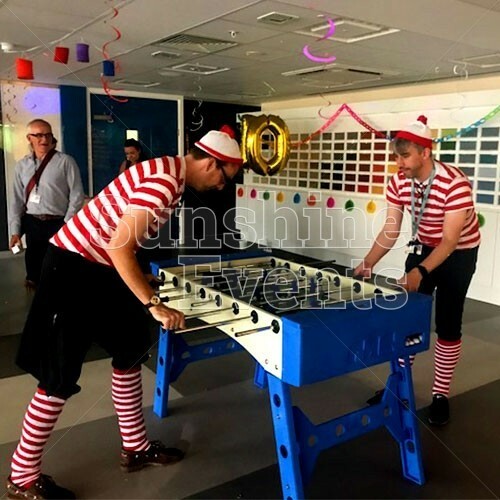 A staple feature of corporate events of all kinds, the Table Football’s popularity is matched only the crazy amount of fun you will have once you take on the challenge and immerse yourself in the game. 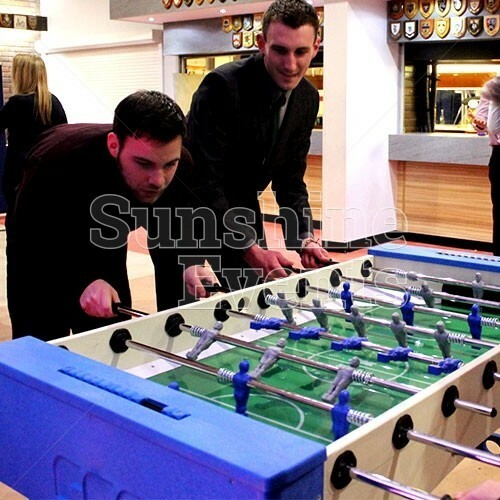 Keep your eye on the prize and release the competitive nature inside as you get stuck into this game of 2 halves, 22 men and 1 winner! 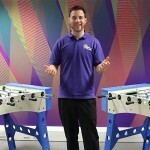 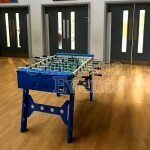 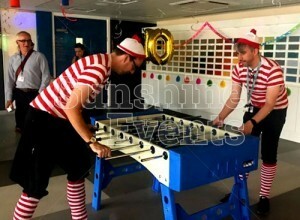 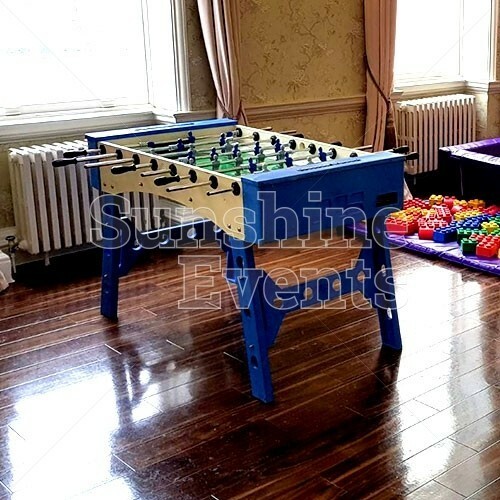 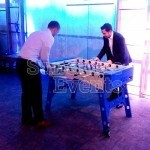 What events are the Table Football Hire suitable for? 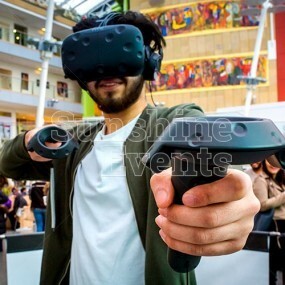 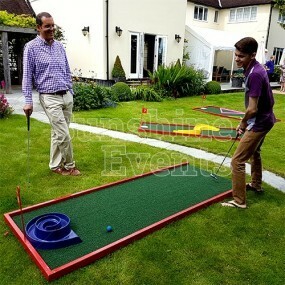 This amazing game is suitable for players of all ages and abilities, so it’s a popular piece at all kinds of event, whether it’s there for fun, or to spark up some healthy competition. Your guests won’t be able to keep themselves from our amazing Table Football Hire - so get yourself the ideal game for your event by giving the Fun Experts a call now! 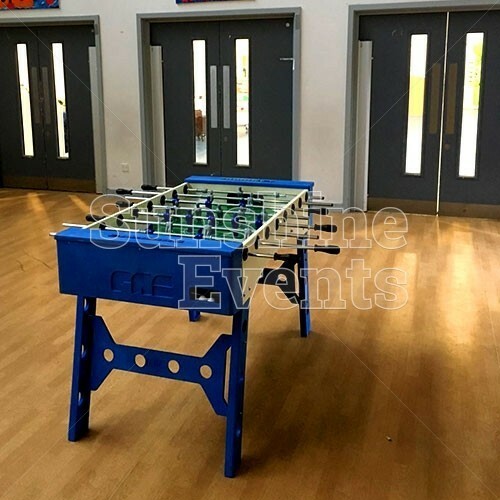 Bespoke Branding - the Table Football is open to adding your company brand, with vinyl stickering to the external frame of the table. 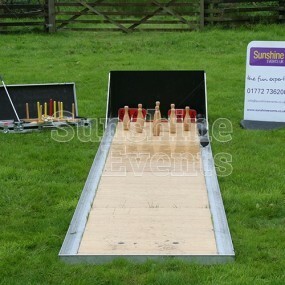 Air Hockey Table Hire - whether the local or an arcade, these two games tables are never far apart. 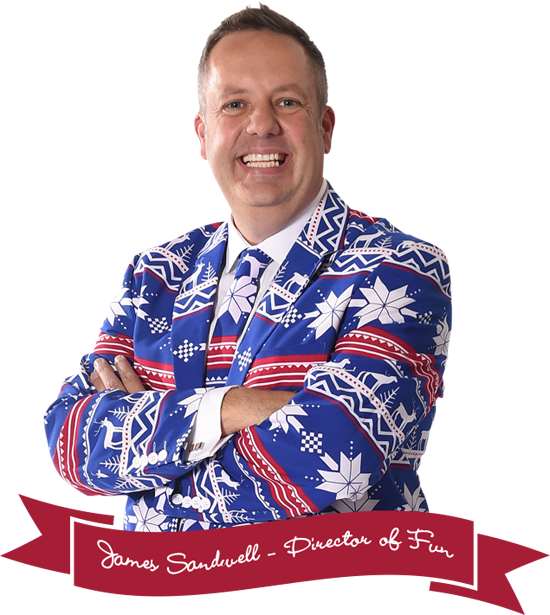 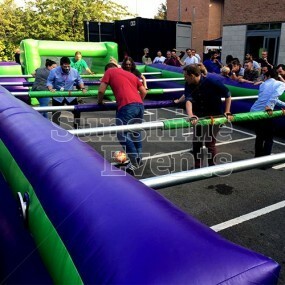 Speak to the Fun Experts to discuss how your event can benefit from some simple and effective upgrading options. 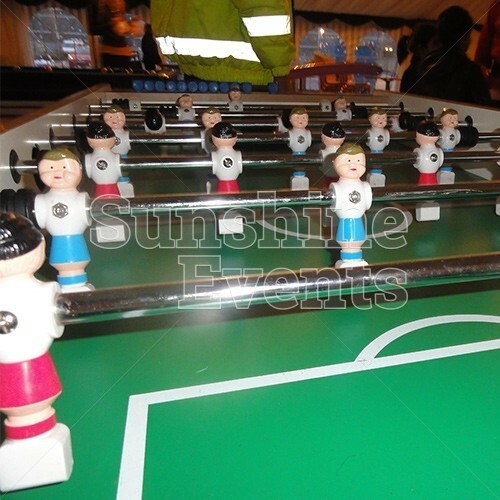 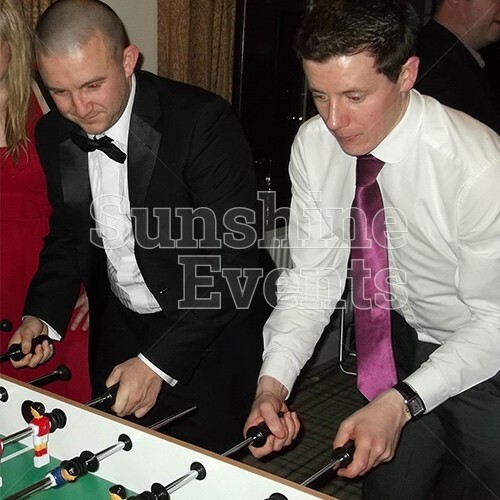 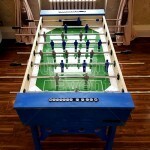 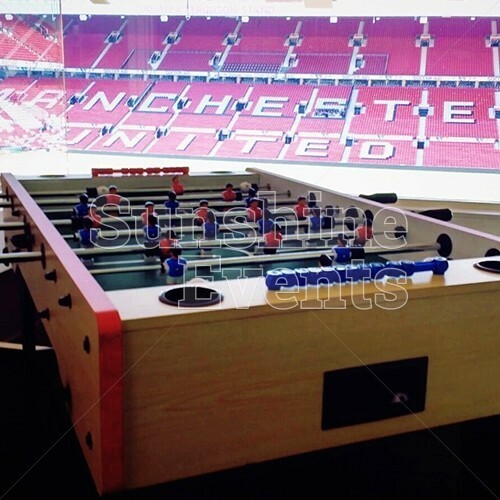 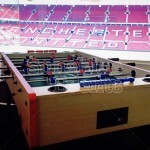 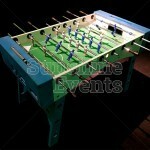 Table Football Hire has been added to your Event Quote.